In the present day, money tends to be cheap, and as the saying goes, “if you have a good deal, money will find you”. Having said that, it is still important to understand your options when it comes to sourcing capital. Knowing your best avenue to pursue for funding can be paramount to maximizing profit, whether you are undertaking a flip or a long-term holding investment. Friends and family capital is often a very attractive source of funding because of the familiarity aspect between you and the friends-and-family group. There is an existing level of trust where you don’t need to convince the investors that you are not going to rob them of their capital. Despite this familiarity aspect, it is important to treat this bucket of capital very seriously. You should still conduct the necessary diligence, prepare either an investment presentation or an offering memorandum with financing projections, showing exactly why this investment will not go up in flames. Make sure to address the exit plan in detail, as your audience would like to know how they will get repaid. Even with the friends and family capital, it is important to rely on real estate attorneys to draft appropriate legal documents. Finally, transparency goes a long way, so try to provide at least quarterly updates on the current state of the project that your friends and family have provided you capital for. Conventional bank debt is often the most competitive source of capital from any lender. In today’s markets, you are often looking at paying 5% to 6%, which is a fantastic rate. By comparison, in the 1980’s the interest rate on mortgages was at around 18%. Of course, such low rates come with strings – banks will expect you to have a high credit score, ample liquidity preferably in their bank account, and sufficient experience in whatever the investment undertaking you are seeking financing for. In addition, most banks need at least 60 days to underwrite the loan request, which for some investment opportunities may be a deal-breaker. Bottom line, it is sensible to turn to banks as a first stop, given the highly competitive bank rates, but be ready to address the various hoops that come with it. Assuming that you have a primary home residence where the bulk of the mortgage has been paid off, you can tap into your home’s available equity through Home Equity Line of Credit, or HELOC. HELOCs generally offer variable interest rates that start off low, making HELOCs attractive sources of money for borrowers. A HELOC is a revolving line of credit, similar to how a credit card functions. Homeowners often chose HELOCs to finance extended projects, such as home renovations or remodeling projects. Home equity credit lines generally offer up to 85% of the equity in your existing home. For example, if your home is worth $100,000, and you own it free and clear of debt, then you may qualify up to $85,000. However, if there is an existing mortgage, then the banks will subtract it from calculating the amount of loan they can issue. For example, a mortgage of $10,000 in the example above means that your equity in the house is now $90,000, and you would only qualify for 85% of that amount, or $76,500 HELOC. You don’t need an excellent credit score to qualify for a HELOC, since the bank will be focused on the value of the equity in your house, and not on the soundness of your real estate investment. The downside of using a HELOC is that when a lender grants a HELOC, the borrower’s home is secured as collateral. So, if you default on a HELOC, you could lose your home. Another problem with HELOCs is the uncertainty that comes with them. If your credit score deteriorates, or if the value of your home changes, the lender may cut back on HELOC, or freeze your HELOC altogether. Therefore, if you are considering using HELOC as a source of cash for your real estate investment projects, make sure to conduct plenty of research and do your homework. Hard money rates tend to range from 9% upward, and around two to three origination points, depending on the lender. Despite the slightly higher interest rate charged by hard money lenders, there is a very good reason why this source of capital exists. Hard money tends to be very flexible, close in a matter of days, and get more aggressive on the loan-to-value or loan-to-cost metrics than conventional banks. In addition, acceptable minimum credit scores tend to be more generous than what is demanded by conventional banks. This is particularly important when you have a deal that needs to close in 3 weeks or less. Most banks will not be able to complete their underwrite of the deal, and get comfortable with the borrower, in such short time frame. In times like these hard money is critical to getting a deal done. When shopping to hard money lenders, in addition to the rates, pay attention to whether there are prepayment penalties, extension options, and certainty of execution. One thing to remember is that hard money is meant to be a bridge to permanent financing, or to an exit via sale. If you think hard money is the best avenue for your financing needs, please fill out a one-pager application on our site www.psglending.com, or chat with one of our loan officers. 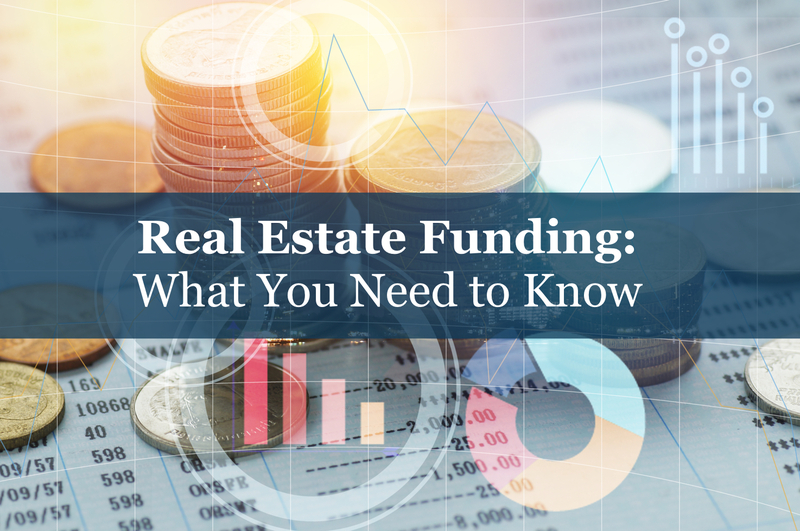 To summarize, friends and family capital is a very attractive option as long as you need a fairly limited amount of capital for your projects. Traditional bank financing is cheap, and is a great option as long as (i) you have a strong credit score, (ii) the bank likes your project, and (iii) you have sufficient experience to qualify as “low risk” investor. HELOCs come with a lower rate, albeit put your home residence at jeopardy. Finally, hard money or bridge capital come at a higher rate, but can save the day when the afore-mentioned options are not on the table. PSG Lending Makes $390,000 Loan on a distressed mix-use building in Baltimore. Checklist for Your Next Flip for Maximum Profit!